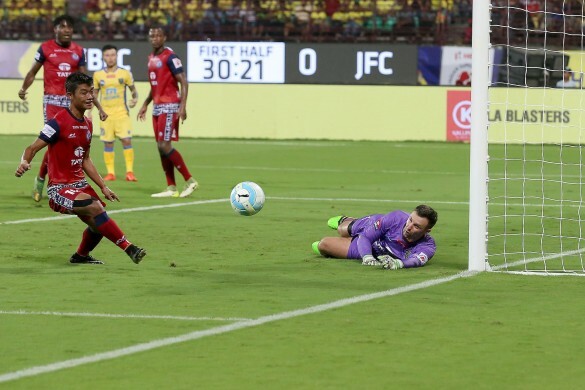 Kerala Blasters FC played out their second 0-0 draw as Jamshedpur FC frustrated the home side, leaving the Yellow Army still waiting to witness a goal in their Hero Indian Super League (ISL) game in Kochi on Friday. 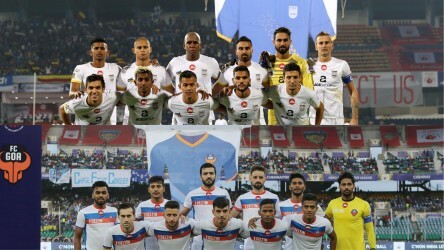 The Blasters were playing their second game at home within a week but that advantage was first nullified by ATK on 17 November, with Jamshedpur following suit in a cagey match. In a way, it was a taste of Kerala Blasters's former system, which was based around stifling the opponent; this time, the same manager, Steve Coppell, did the same for another team in a return that will leave him asking for more but still won't disappoint him. Former Manchester United star Dimitar Berbatov lasted the full 90 minutes again and had an acrobatic effort go waste at the near post. But the best chance for the Blasters fell to CK Vineeth after Canadian Iain Hume dug out a cross to pick him from the right wing. Vineeth's heading opportunity went begging -- as did so many other half chances which didn't materialise due to the lack of a quality final ball in the attacking third. The Blasters started the match in typical fashion with a quick tempo and feeding off the energy of the crowd, but Jamshedpur did well to weather the initial storm and countered a few times themselves. Their best effort though, was palmed away not once but twice in quick succession by Paul Rachubka. 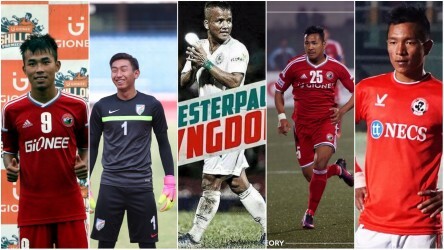 It all started with Memo's stinging effort from a free kick, and once that was seen away by a diving Rachubka, he had it in him to get back up and keep the rebound effort from Jerry Mawihmingthanga out as well. Rachubka was alert in added time as well as Jamshedpur finished the game stronger. Trindade Goncalves's brilliant cross found Kervens Belfort, but his header was incredibly saved by the 36-year-old goalkeeper. The first half had its fair share of entertainment as Rene Meulensteen's quick attacking style is steadily making progress for the Blasters, but they petered out in the second period, allowing Jamshedpur the chance to hit them on the break. That reduced the half to a mish-mash of mistimed tackles and efforts from a distance. But only one of these was really troublesome with Courage Pekuson's shot narrowly missing the target. In a way, it was a roundup of the match itself which will be remembered more for the goalkeeping heroics of Rachubka than the missed efforts from all the attackers on the pitch.